SCAM SCAM SCAM !!! Our corrupt politicians and Bureaucrats eat up our money in Crores in the name of Scam. Our money that is supposed to go for our Infra Structure, Health, Education, R&D, etc., are going into the big fat mouths of Greedy Corrupt Politicians. Its high time, we start protesting for what we deserve. With the same spirit, our volunteers complained to Corporation of Chennai about the poor condition of 2 eroded, damaged roads, with photos of the locality. One is Sarathy Nagar, Velachery and other is VSM Garden Street, Jafferkhanpet. There have been many potholes in them due to the layout and repair done by various departments. The road surface is seriously damaged and was causing much hardship to the general public. The condition was much worse during rainy seasons causing much havoc to traffic as well, being slippery and bumpy. The petition to repair the road was first launched on 18th May 2013 to Superintending Engineer, Bus Routes and Roads Department, Corporation of Chennai clearly depicting the seriousness of the situation. But, even after a month of launching the complaint, not even an acknowledgement was given. The complaint which was sent in `Registered Post’ is clearly ignored by the officials purposely. Thus, in order to strengthen the petition and to accelerate the process, a notice for the neighbourhood of the above said road in velachery was distributed stating that the issues can be addressed. After spreading the awareness, most of them agreed to complaint. Thus, we collected all of their signatures and we lodged another formal complaint to the Bus Routes and Roads Department, Corporation of Chennai and also to CM Special Cell on July 22, 2013. Its September now, and even now, there is not a single response from them. No response from the Corporation for the voice of 24 concerned Citizens of Velachery. But, we are so used to this ignorance so it feels like its nothing new and is expected. The RTI was transferred to Zonal Offices of the Corporation on Nov. 5th, but then no response from them and so First Appeal was filed against them on Nov. 15th. It is then followed with few forwards and responses from various PIOs and Appellate authorities. PIO, Zone 10 clearly stated that they hadn’t received our Original Complaint and hence no action was taken. It is the Bus Routes and Roads Department to whom we made the complaint and also the RTI. The original complaint was not transferred to the zonal offices it seems, but only the RTI. The next right step is to file a Second Appeal with Information Commission on the PIO, Bus Routes and Roads department. But because of few mistakes on our side, we missed the few important documents like proof of delivery of Complaint, copy of First Appeal, etc., So without this documents, its not a good idea to file Second Appeal and hence we stopped our efforts here. Its August 2014 and we received a surprise call from Junior Engineer, Ward 179, Corporation of Chennai. He told that the `Road Construction` works are initiated and will be completed soon. Also, he told that proper Information for our Initial RTI will be sent in a week. Guys.. I really appreciate your initiative. 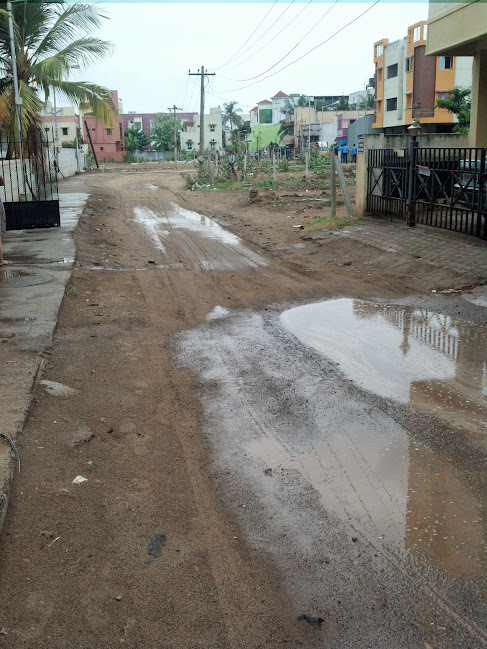 Please come and have a look at the road which leads to “perungudi MRT station” in velachery. The road is pathetic. People from TCS velachery have to go via that road to reach the main road. 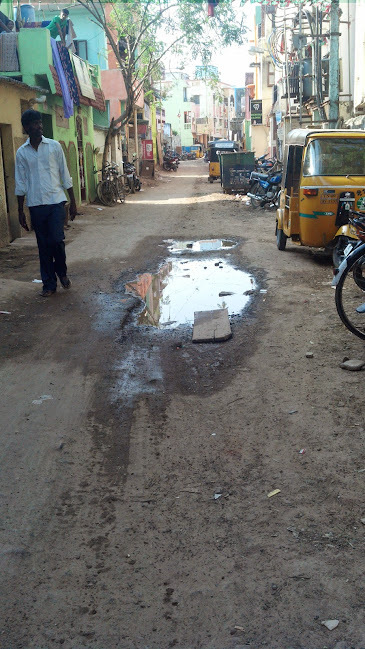 The road is in very bad shape and even after people reach the main road, The velachery taramani road has been dug for more than a couple of years. It would be really helpful for commuters like us if we can get some help. Please drop us a mail to grayfaceofindia@gmail.com. We will guide you on what can be done to fix this.